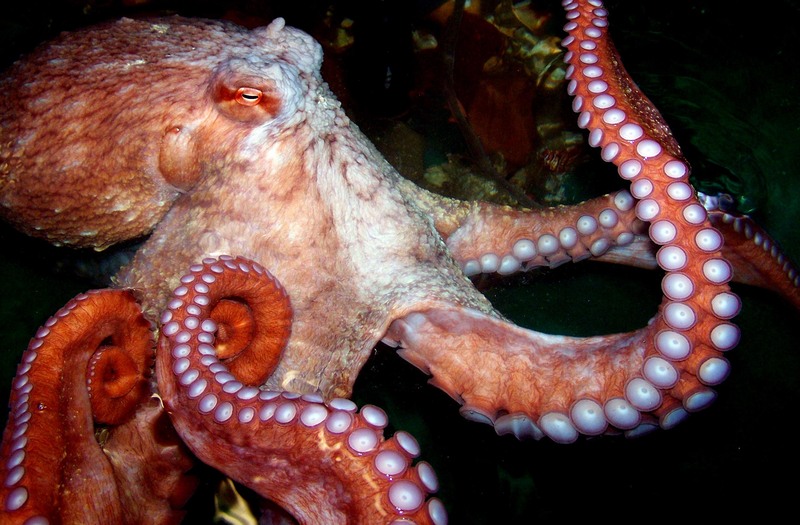 The University of Oregon has a Baccalaureate Degree in Marine Biology, one of only a handful of such degrees offered on the Pacific Coast and the only one in the Pacific Northwest. 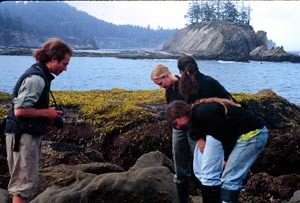 Undergraduate students accepted into this major receive the same solid background in modern Biology (including cell biology, molecular biology, evolutionary biology, physiology and ecology) as a UO Biology major, but also experience several terms of the hands-on field-based learning for which marine laboratories, including OIMB, are renowned. 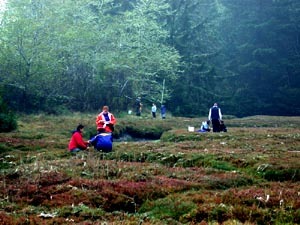 Students in the marine biology major spend time on the Eugene campus and at the Oregon Institute of Marine Biology. In Eugene, students take introductory biology courses and fulfill chemistry, mathematics, physics, and general education requirements. Upper division biology courses are taken at OIMB, and the marine biology major requires students to spend a minimum of three terms at the OIMB campus in Charleston. Courses are offered at OIMB during spring, summer, and fall terms. The OIMB campus has dorms and a dining hall to accommodate students. For more information on the Marine Biology major at the University of Oregon, please contact Maya Watts. Examples of what OIMB graduates are doing. Undergraduate research at the Oregon Institute of Marine Biology was featured in the Fall 2014 edition of the University of Oregon College of Arts and Sciences magazine CAScade. Click on the image below to see the whole article and read more about research opportunities for undergraduates at OIMB. Career options for Marine Biology graduates include jobs in state and federal government, advanced training for research and teaching in the marine sciences and most other careers available to broadly trained biologists. Entry-level positions include technician work with agencies, non-governmental organizations and environmental consulting companies, as well as various positions with education outreach facilities like aquariums and marine science centers. Graduate work in marine biology can be an important consideration because it allows for more specialization and increases both salary and opportunities. The background offered by this major is entirely appropriate for medical, dental or veterinary school. For more information, visit our page on resources for employment after graduation. Internships and Research Experience for Undergraduates (REU) programs are valuable opportunities to pursue while completing your undergraduate degree. OIMB offers its own internship and REU programs and also maintains a list of outside resources. Every other summer, OIMB offers a Tropical Marine Biology course in Panama. UO also has a large study abroad program with many opportunities for Marine Biology students.